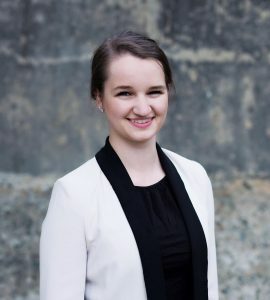 CIM MES is delighted to announce that the 2017 MES-COSMO Scholarship recipient is Alexa Dumaine who is a 3rd year student within the Bachelor of Applied Science programme at the Norman B. Keevil Institute of Mining Engineering at the University of British Columbia. She is currently completing her co-op work term at Albian Sands in Fort McMurray. Originally from Ontario, Alexa plays hockey, is a former lifeguard, Captain of this year’s UBC Mining Games team, and a graduate representative for the 2018 UBC mining graduate class. Her 4th year feasibility project will address the topic of mine planning optimisation with technical risk management by looking at the application of simulation techniques to model grade variability and uncertainty in a mineral deposit, through to life-of-mine production scheduling and valuation with new risk based methods. The scholarship: The Management & Economics Society (MES) of CIM together with the COSMO Mining Industry Consortium (AngloGold Ashanti Ltd., Barrick Gold Corp., BHP Billiton Ltd., De Beers Group of Companies, IAMGOLD Corp., Kinross Gold Corp., Newmont Mining Corp., Vale SA) established the CIM MES – COSMO Scholarship (“scholarship”) that is valued at CAD $3,000 per year. The scholarship is intended to provide financial support for mining engineering undergraduate students who are enrolled in Canadian universities, and have a focus on strategic mine planning optimization under uncertainty and related technical risk management.